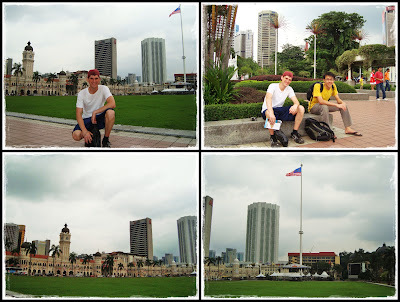 So after Siem Reap, we continued our SEA tour in KL for a couple of days. Thanks to bro, cousin, and Rachel for hosting both of us while we were in KL. 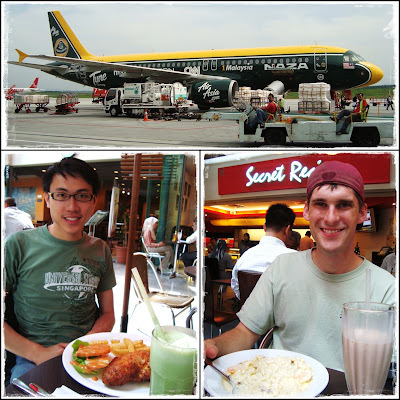 Our KL tour starts immediately after coming back from Siem Reap...had lunch at Secret Recipe in KL Sentral (introducing Daniel to our successful Malaysian franchise). No car so had to travel by public transport...took the Monorial to the starting point of our free walking tour led by Sheng. Another Sri Mahariamman Temple in KL. Walk...walk...walk...just followed our 'tour leader'...gotta walk fast coz it was gonna rain. Merdeka (Independence) Square and the Sultan Abdul Samad building. Tallest flagpole in the world? They were setting up the stage for New Year's eve countdown. KL looks quite nice from these pics huh? Took a break and had rootbeer float at Old Town after all the walking. Don't remember the name of this temple. 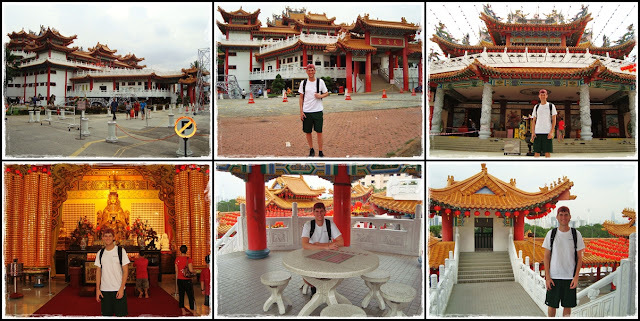 Another chinese temple again...Tian Hou Gong. It was my first time coming to this temple as well. 'Chiak ba sio eng' posing with the 2 'corns'. 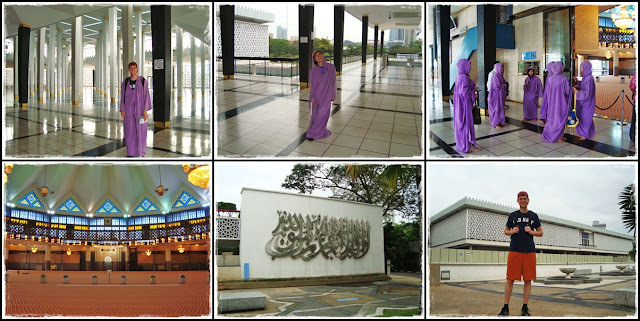 Upon Mr Daniel's request, we finally visited a mosque...the National Mosque =.= Had to wear this 'cool Harry Potter' robe to enter...why izit purple har??? 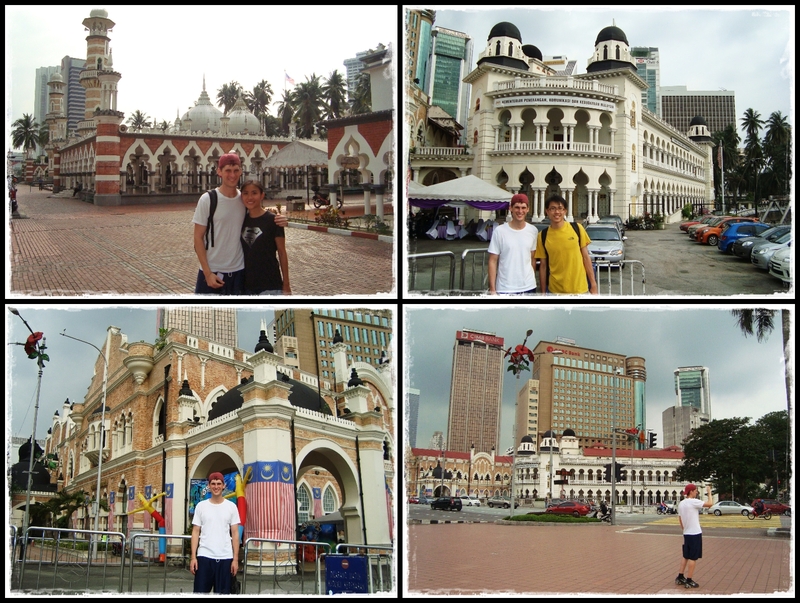 All the tourists dressed like this...so weird la! 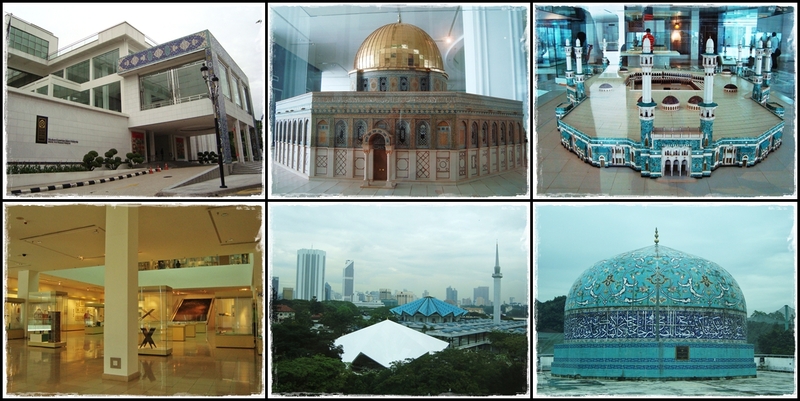 Another request from him...The Islamic Arts Museum. =.= Luckily I had my ISIC student card so paid less for entrance fee. Guess what's my favorite exhibit in the museum?? 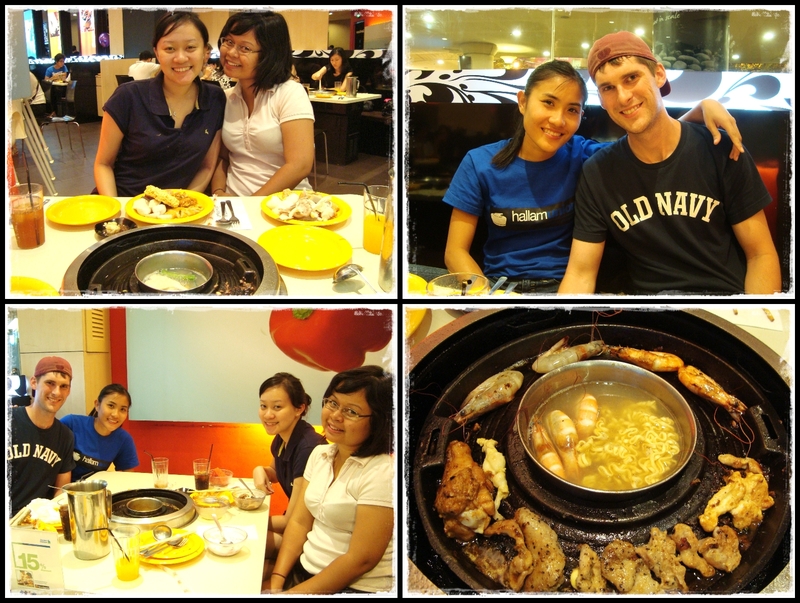 Went to Seoul Garden with Rae & Shal for BBQ+Steamboat buffet dinner. Life's Like A Box of Chocs?